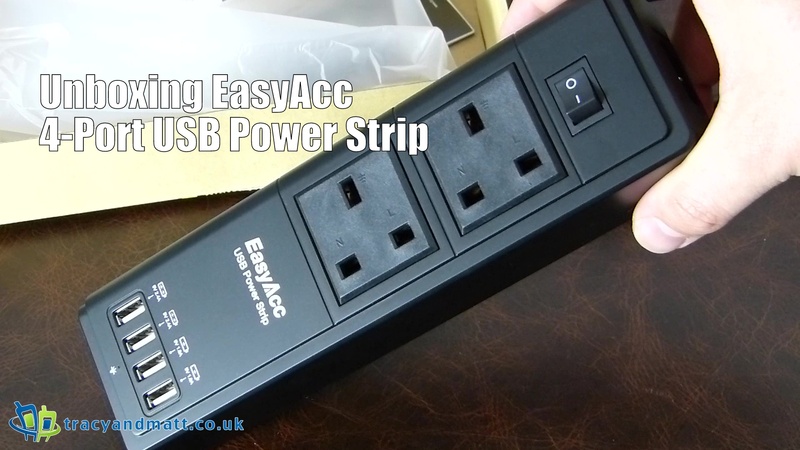 A floor power strip might not sound terribly exciting however EasyAcc have expanded upon the idea and injected four USB connectors to allow a flexible charging solution. At £16.99 the 4 Port USB Strip might provide a flexible base for your charging needs. The power strip features two power sockets that can provide a steady power supply to devices such as desk lamps, hair dryers, fans, televisions, and computers. Note: The total amount of power required by the devices connected cannot exceed 2500W. It also comes with 4 USB output ports, which let you charge phones and tablets more easily. The power switch lets you quickly and safely control the flow of electricity with a single touch. The LED indicator makes it easy to see whether the power strip is connected to electricity or not. The power strip is made of ABS, a tough, heat-resistant plastic that allows for the greatest possible safety during use.